In my mind, Spain has alway been a tempestuous land of devastatingly handsome men and beautiful women dancing against the backdrop of a fiery red setting sun. I think of guitars strumming in a staccato fashion, a flamenco dancer dramatically kicking up her skirt, a bullfighter gallantly waving his red cape as a crowd chants “ole!”. 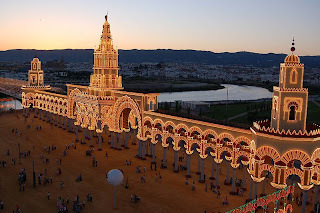 There is something so unique about Southern Spain - the Moorish influence has mixed with the Catholic to create such a breath-taking spin on its architecture, food, and customs. 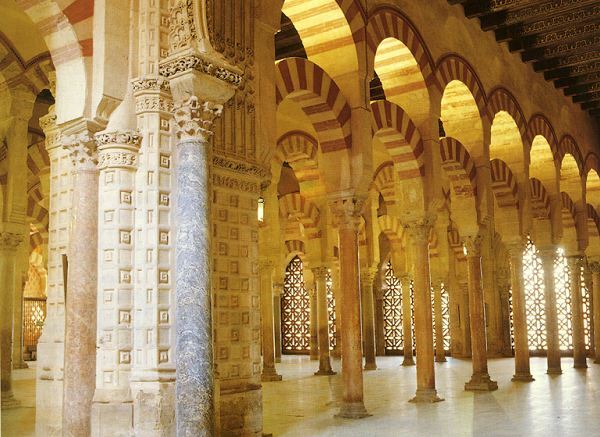 In the Andalusian (I looove saying this… Andalusia, Andaluuusia!) 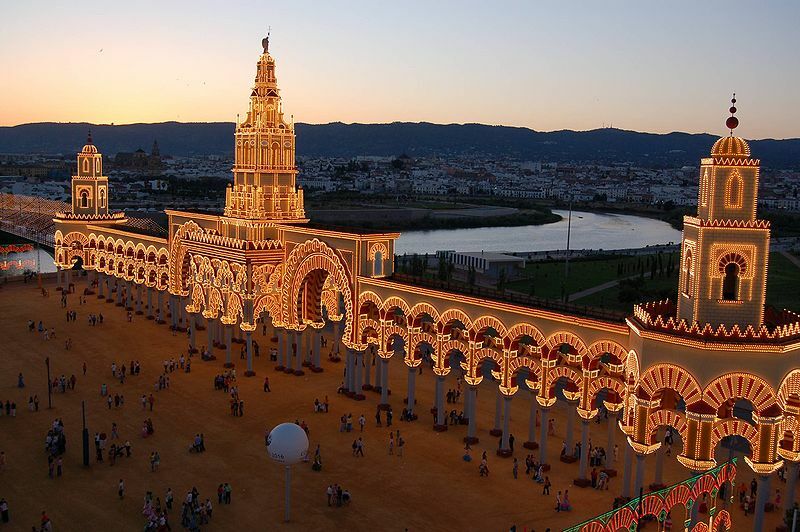 cities of Sevilla and Cordoba, where flamenco was born, they celebrate the Semana Santa y Feria, right around the time of the Easter Holy Week. Semana Santa became very popular in the 1920s, and I have a few vintage posters in my apartment that were used to promote it. 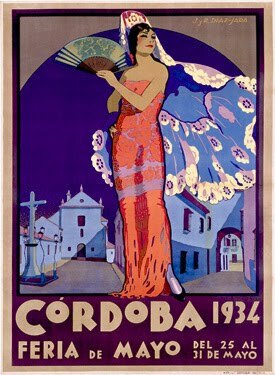 I love the aesthetic, the way the men proudly wear their boleros and cordobes (traditional hats), while the women are perfectly coiffed, in their ondulating flamenco dresses, intricately embroidered shawls, and dramatic fans. When I was in Spain a few years ago, I was so tempted to buy a flamenco dress, until I saw the price tag. That, and the question of where I could possibly wear it, served as a deterrent. 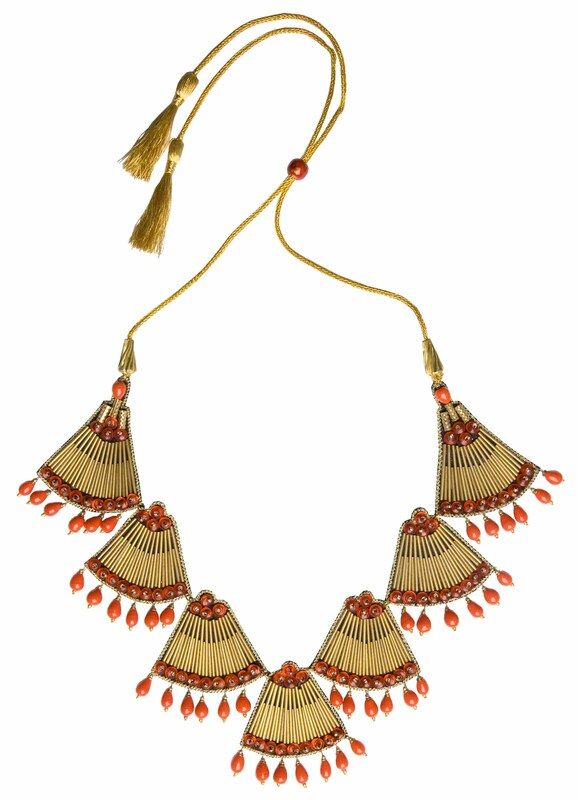 I settled for a beautiful red embroidered shawl instead, but one day I will have my flamenco dress! 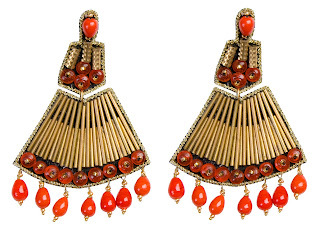 I suppose all of this imagery melded together in my mind when I created the Cordoba Collection. 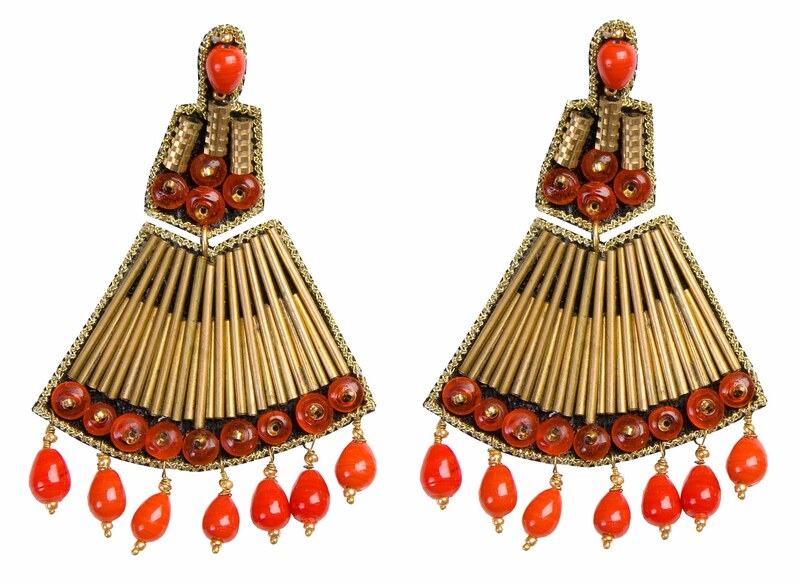 Each piece is reminiscent of a flamenco dancer’s fan, and the mix of bright vermillion, gold, and black is unmistakably Spanish.